The image above is a beautiful glimpse into the history of a place which was once, and continues to be a popular holiday destination for many Sydneysiders. Yet the Gosford of today looks remarkably different to the Gosford captured in this snapshot! Before European colonisation of Australia, the Gosford area was home to the Guringai and Darkinjung Aboriginal peoples, but it was not long after Europeans arrived in Sydney that the Central Coast was being explored. In 1788 and 1789 Governor Phillip himself explored the area around Gosford and it did not take long before timber getters and lime burners had begun to appear. The difficulty of accessing the area though meant that true settlement didn’t begin until 1823 and even in 1850 the road between Brisbane Water and the Pittwater area was just a rudimentary track. 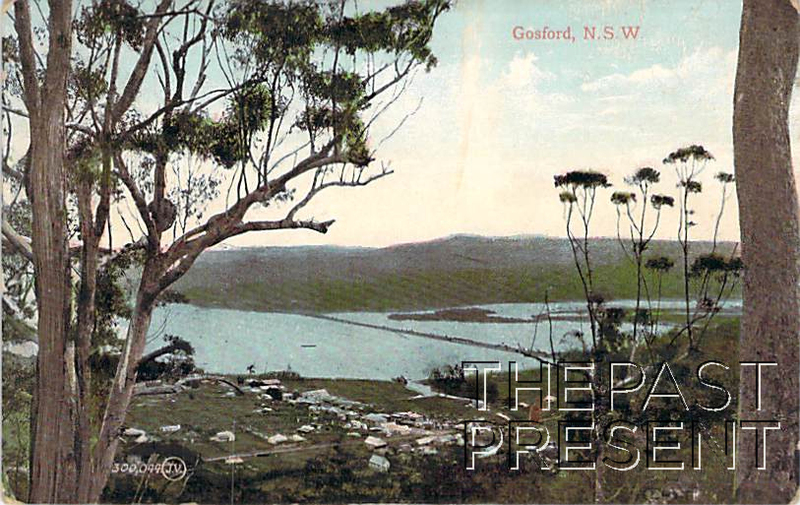 In the 1880s though, with the completion of the railway link between Sydney and Newcastle, Gosford began to grow. Tourists began to see the Central Coast as an ideal holiday and leisure destination and soon began to flock to the surrounding area. In 1889, when the Hawkesbury Railway Bridge was opened, traveling to Gosford became easier and quicker, and the tourist industry continued to grow and thrive. By the early 20th century, and well into the 1960s, many Sydneysiders will recall heading up the coast for their annual holidays, enjoying sun, surf and sand on the beautiful Central Coast. This entry was posted in New South Wales and tagged 1900s, 1910s, entertainment, gosford, leisure, postcard collection, tourism.